The name of the burial complex reveals the history of its appearance. "Modari-khan" in translation means "mother of khan". 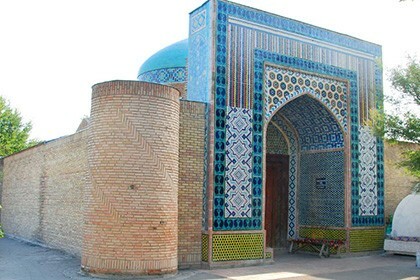 This historical landmark of the city of Kokand is a female burial vault, which was erected in 1825. 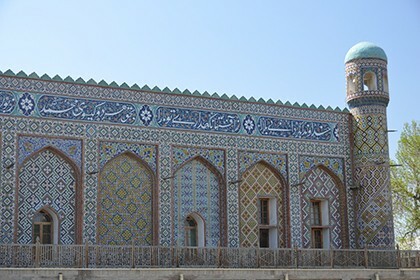 The mausoleum was built by order of the great poetess Nadira-begim at the burial place of the deceased mother of her husband Umar Khan, the ruler of Kokand. 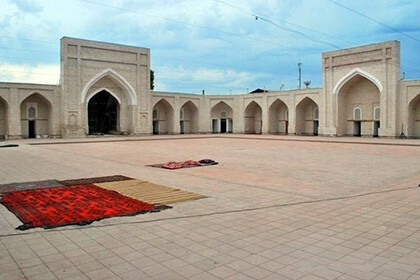 Later, the complex became a resting place for all women of this khanate kind. 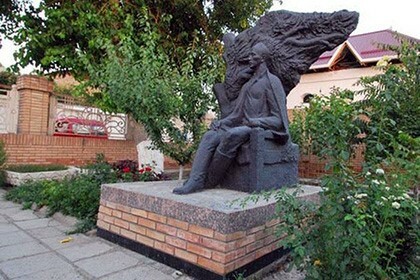 Nadira-begim, or Makhlarayim Nadira, is a famous Uzbek poet, born in 1792 in the family of the Andijan ruler. Having received an excellent education, she possessed considerable knowledge in the field of literature and history. Having become the wife of the ruler of Kokand, she took an active part in the development of the cultural and social life of the region. At the age of 30, Nadira loses her husband and power is delegated to their son Muhammad Alihan, who at that time was 12 years old. So, Nadira began to help her son in to rule the khanate by participating in the development of all aspects of public life, culture, architecture and politics. In 1842, Kokand was captured by the Bukharian Khan Nasrullah, who after slandering the family of Nadira ordered her and her two sons to be executed. Nadira was buried in the tomb of Modari Khan, but in the middle of the 20th century the ashes of the poetess were reburied, and in this place in her honor was erected a white arch of marble. 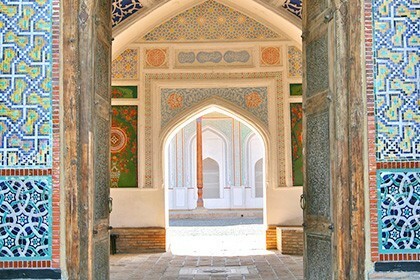 The modary complex of Modari Khan begins with an entrance portal, on both sides framed by towers. A blue dome stands behind the entrance part, the inner part of which is decorated with a spiral of ganch with a ribbed pattern, as if extending in memory of the deceased. Then there used to be a building of the memorial mosque, which has not survived until today. Majolica was used in the design of the complex, which recreated the elements of floral ornament. Exit from the mosque led to the courtyard and to the burial place, which was surrounded by a fence. 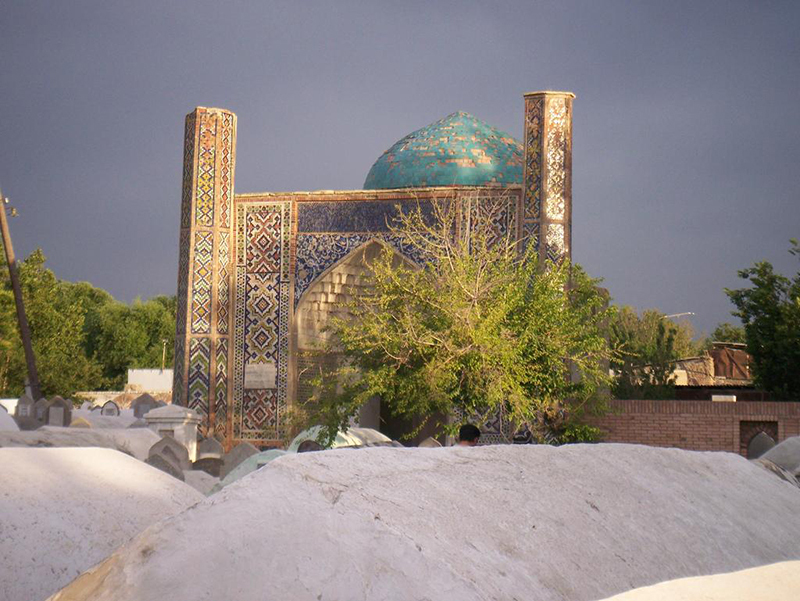 The mausoleum of Modari Khan is a women's burial vault, and there are not many of them around the world. 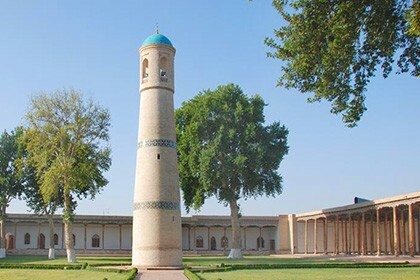 Thus, this monument of the cultural heritage of Kokand is a rare phenomenon, confirming the important role of the women of the East in the way of the society of that time. And it must be seen with your own eyes.